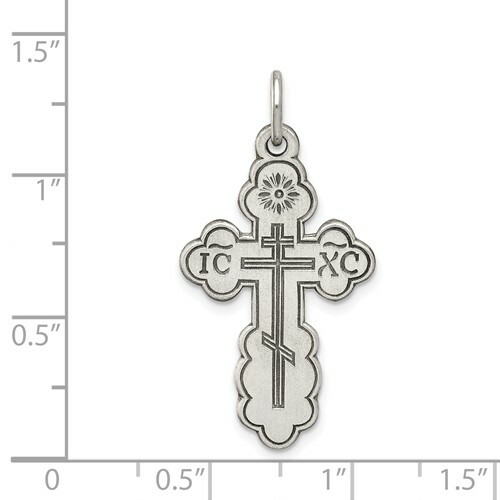 Sterling silver eastern Orthodox cross pendant has an antique finish. 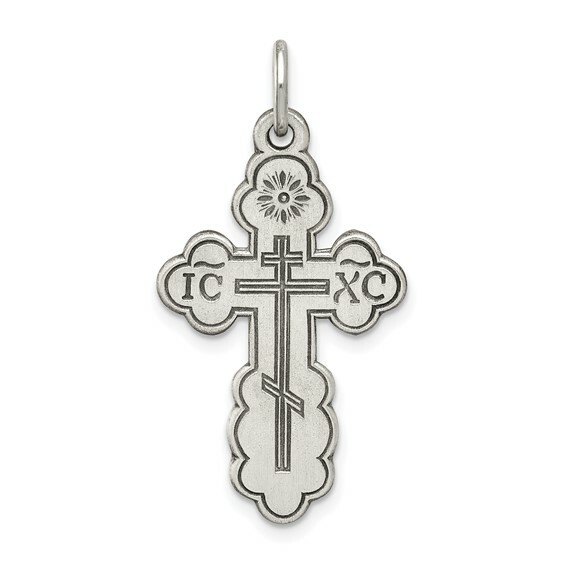 This cross does not have a high polish finish. Measures 1 1/8 inches tall by 11/16 inches wide. Chain not included. Flat back.